The ideal choice for Crossovers and SUVs. It is conceived for drivers who look for higher mileage and light off-road performances, without giving up comfort and safety on all road surfaces and in every conditions. ENERGY™ EFFICIENT: Reduces fuel consumption and CO2 emissions. CLEAN AIR: Made from eco-compatible materials that minimise environmental impact, both at the production stage and throughout the life of the tyre. HIGH MILEAGE: Longer lasting tyre that maintains high levels of performance and safety. 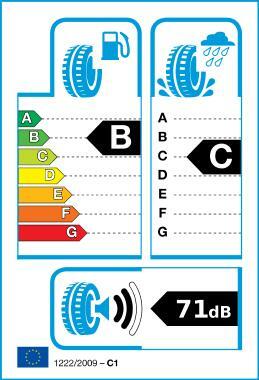 LOW NOISE: Already complies with the 2012 EU Regulation on the reduction of noise, resulting in improved driving comfort.